Sunrise Products is the well-reputed Coil Heaters Manufacturers In Delhi. These types of heaters are manufactured with or without thermocouples and are mainly used on runner nozzle and manifolds. As a trusted brand in the niche, we only use silicon elastic, stainless steel, or other quality material to manufacture them. These are used in applications, where space accessible for heating is restricted. Their main applications are in hot runner spouts, die-cast spouts, bundling machines and manifolds and so on. We have a well-equipped and spacious manufacturing unit, which make us capable of manufacturing the Electric Coil Heater in standard and custom both the configurations. Additionally, we pass our products from different quality parameters, so, our clients will get the final products, which is free from any flaw. 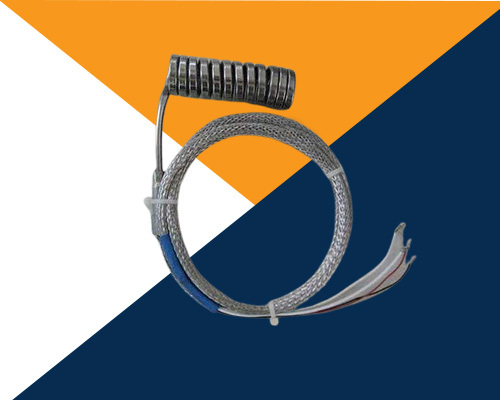 We have successfully marked our reputation in the cut-throat competition, as reliable Industrial Coil Heaters Suppliers and Exporters, thus, we don’t make any compromise in our product quality and take care of our customer’s requirements as well. Share your requirements and get a quick revert from our customer executives.